Max Polyakov, co-founder of Association Noosphere, has been tirelessly promoting the maker faire movement in Eastern Europe and specifically in Ukraine for years now. He hopes to inspire a generation of youth to become scientists, engineers and designers to revitalize Ukrainian and utilize the vast potential of Europe’s largest country. By this week one of his social initiatives, the Vernadsky Challenge took a hit, curbing some of his enthusiasm. Just a few months ago, Max Polyakov spoke at BestRoboFest 2017, a festival held in Dnipro Ukraine, about how impressed he was with support from the citizens of the city, who came out in droves to both exhibit their passions in robotics, rocketry and engineering, and learn from the masters. In his closing remarks at the festival he said that he was eager to continue supporting events such as these to ensure that the youth in Ukraine could have equal opportunity to succeed as the youth in other countries. 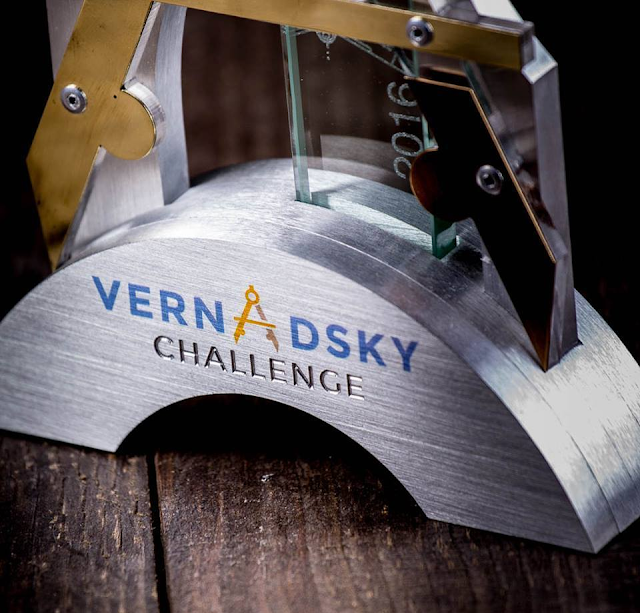 As part of this quest, Noosphere and Max Polyakov has sponsored a startup competition, the Vernadsky Challenge, in Dnipro, Ukraine for the past three years to provide local and international inventors grant money to develop their ideas and put them into practice. Unfortunately, his co-founder of Association Noosphere, Michael Ryabokon was forced to announce recently that next year’s competition was put on hold due to circumstances that were beyond their control. Chief among the decision was the lack of a venue to host the event. While a large city of over 1 million residents, Dnipro is relatively limited in the number of locations that events of this magnitude could be held. For the last 3 years, the event supported by Max Polyakov was held in the Ukrainian Youth National Aerospace Education Center. It was the perfect venue to hold an event that is designed to encourage participants to shoot for the stars, it also had the perfect auditorium that could host the attendees, and presenters. Due to lack of support, the facility has fallen into deep disrepair in recent years, making it unusable for such an event in the future. Noosphere Ventures, eager to continue the competition, had generously offered to make the necessary repairs to patch the leaky roof and modernize the facility, but had yet to hear back from government officials as to whether they would allow the non-profit agency to carry them out. Without a venue to hold the competition, organizers were forced to cancel the event until further notice. Max Polyakov and Noosphere Ventures, will still be accepting applications for submissions, but will review them outside the context of the official challenge and issue any grants for projects on a more individual basis.